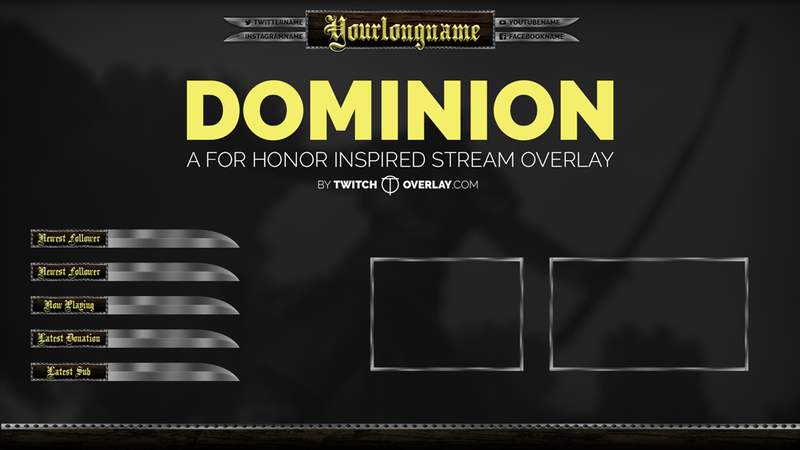 Dominion is a For Honor Stream Overlay, inspired by the game’s medieval style. It features combinations of metallic blades and wood, finished with gothic, gold writing. Included are panels for stream info, 2 webcam options for people using either 4:3 or 16:9 ratio webcams, the option to edit social media names etched into the side of samurai swords, and a long footer featuring dark wood and steel.